Death, War, Pestilence and Famine – the Four Horsemen of the Apocalypse – have been hanging around for so long waiting to being about the end of the world, they’ve forgotten who they really are. 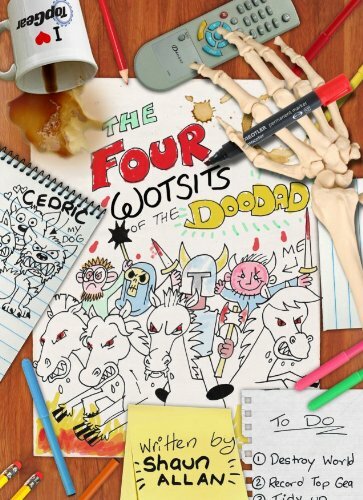 War is a Top Gear groupie, Fam (the Man) cheats at Monopoly against his sidekick Pestilencio and Death sighs a lot – something that’s not too great for the local pigeon population but makes Cedric, their three-headed Jack Russell, very happy. Death realises the world is going down the pan without them, and decides to make it a better place. After all, it should be THEM destroying it, not us!